The holidays are just around the corner, and there’s no better time to treat yourself or a loved one. With Microsoft’s newest Surface devices and Xbox consoles, there’s something for everyone – from the stylish young professional to the avid gamer and even little (and not-so-little!) ones who love Minecraft. Launching November 7th, the Xbox One X, is the most powerful console on the planet. It has 40% more power than any other console, bringing immersive true 4K gaming to your living room. All games play better on Xbox One X, and it launches just in time for the holidays. For those people on your list that love gaming but don’t need quite as much power, Microsoft offers the Xbox One S. The Xbox One S provides the ultimate value in games and entertainment; it brings over 100 exclusive games, built-in 4K Ultra HD Blu-ray™ and 4K video streaming. In fact, it’s one of the most affordable 4K Blu-ray™ players on the market! Light and quiet and strong, the Acer Switch Alpha is the 2-in-1 that you can take anywhere. Dynamic and runway ready, this Windows 10 convertible with all the right features for modern computing is powerful and posh, at work or play. The world’s most powerful console is the perfect gift for the avid gamer in your life. 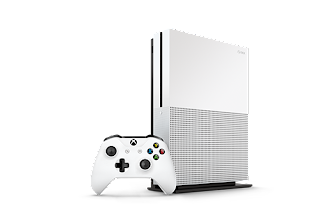 Xbox One S provides the best value in games and entertainment. Features a custom designed grass block console, an iconic green Minecraft Creeper controller, Minecraft system sounds, vertical stand and transparent underside with Redstone circuit accents. This exclusive bundle also includes a full game download of Minecraft plus the Redstone Pack, a collection of unique skin packs. I'm not into gaming, my grandkids are though. I'm not sure but I think they might have an Xbox. I love that the Acer Switch Alpha is light. I love the Acer Switch Alpha, I don't have a laptop! I find it amazing how quickly kids learn to play these games and just how good they get at an early age. It is hard to keep up with technology. You get one and then they bring out a newer better version. It is amazing how many improvements have been made over the years and you have reviewed a nice selection. Awesome stuff. I have the original xbox one and it is working great! Microsoft products are nice. Awesome. Tech gifts are loved by the whole family! seriously if i had the money, i would totally get my husband the ASUS Zenbook Flip X370! Oh what fun gift ideas! I love them all. 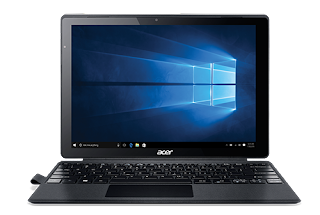 If I could choose one, I would choose the Acer Switch Alpha. I have an xbox one and very happy with it. Also the original xbox and 360.. THey are all working fine.. Very fun. I love in a family of gamers even I play games. Always something related to it on the lists. xbox is a favorite system with all of them though we have the others too. Everyone loves the gift of technology these days. These are particularly awesome ideas! These look awesome! I love playing video games and games on my phone. Great gift ideas! Tamara M - I love playing video games with the kids, it is quite exciting and tons of fun! My kids play this when they go to their friends homes, they love it. My son would love a XBOX for Christmas! Thanks for the review my son is in the market of a new gaming system. Ohhh a new gaming system would be awesome!